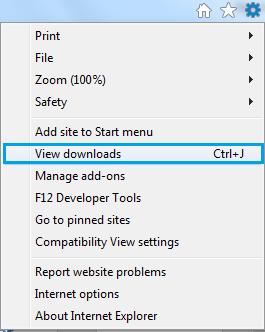 Whenever you install a browser or if you download anything from internet, the browser takes it default download place to save the files. But sometimes this is not a good choice to download the files at default place and later you struggle to find the downloaded files. Browsers come with the feature that allows us to change download location or every time when you download any file it will ask you to save the file at specific location. 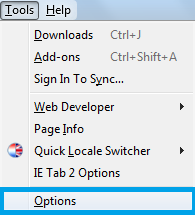 Open Firefox browser go to Tools -> Options. Select the location wherever you want to save the file. That’s all. 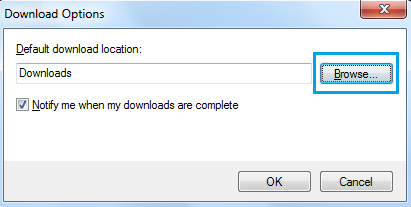 Next time whenever you will download the file it will get saved to specified place and not in the default download location. If you want browser to ask every time to select the location to save file, you can select another radio button option Always ask me where to save file. 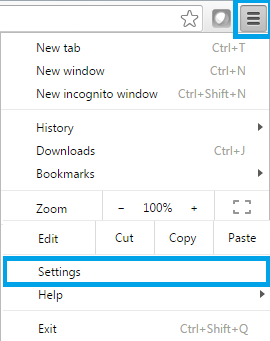 Similar way we can change the default download location in other browsers as well. Click on Show advanced settings…. link. Select the place wherever you would like to save the file. If you want browser to ask every time where to save the file, click on checkbox Ask where to save each file before downloading. Open internet explorer and click on gear icon shown on right top corner. Select the option View downloads. Click on Options in the new opened window. Click on Browse button and select the location wherever you would like to save the file. Finally click on OK button to save the changes.